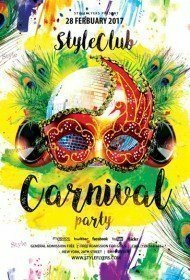 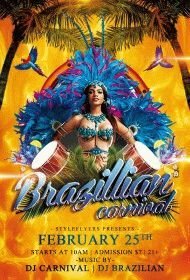 If you are looking for bright and multicolored flyer templates for an efficient online promotion of your Brazilian party you can look through our new listing – premium Brazilian carnival flyers templates. 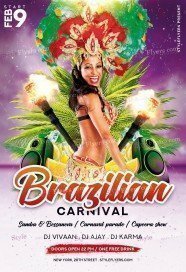 We extended our seasonal flyers category and added to it new eye-catching printable samples for sale. Here you can opt a perfect Photoshop files for your event. All flyers in this category are full of bright colors and small eye-catching designs. 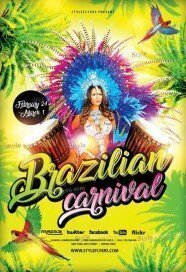 We think that such approach will perfectly convey a spirit of Brazilian culture. 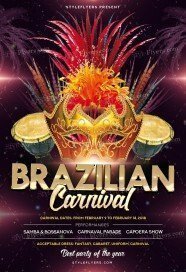 Brazilian carnival is one of the most joyful and bright festivals in the world. 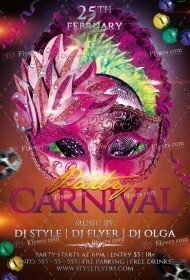 For such creative and bright event we prepared the stunning flyers which will capture your mind and heart. If you want to attract a capacity crowd you should buy Brazilian carnival flyer template. Only they can guarantee you a great success. Use all our benefits, including free Facebook cover and easy customization. You will appreciate our high quality products and responsive support. 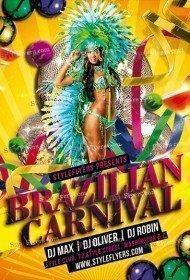 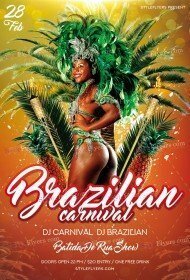 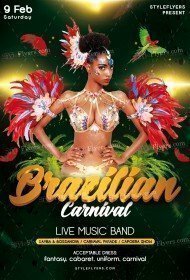 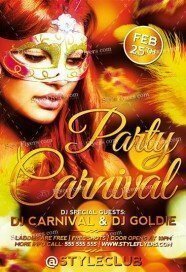 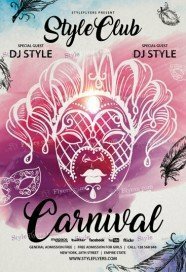 Become our loyal client and buy Brazilian carnival flyer PSD templates. 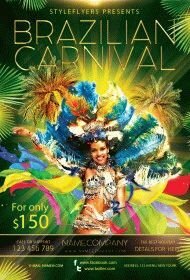 It’s a great opportunity to save your money and get the unlimited access to all our premium flyers. Don’t miss such brilliant opportunity to buy great flyer.